Things have been busy at Kearny Martial Arts but we wanted to take a moment and mention a great honor that was given to our founder. Grandmaster Marchetti was awarded a ring on behalf of the London International Hall of Fame by Grandmaster Gary Wasniewski during a great ceremony in London. 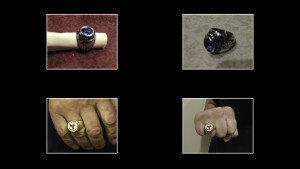 The ring itself is silver in color with a blue stone, also featured are an embossed figure and the organization name. While on the topic of rings, this is a good time to bring attention to another ring that Grandmaster Marchetti was gifted earlier this year. You can see it in these pictures as gold with the Kearny Martial Arts logo on the face. 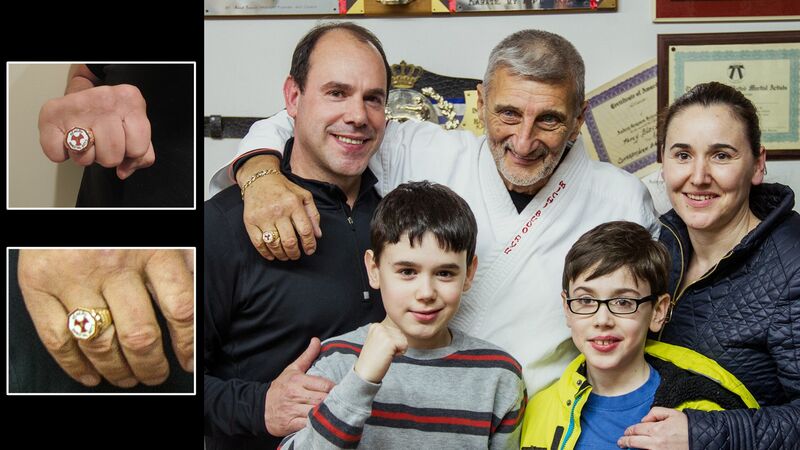 As you can imagine, it is a one of a kind piece made all the more special because all four members of the Pires family are martial artists and students of our dojo! As always, check back for more news. 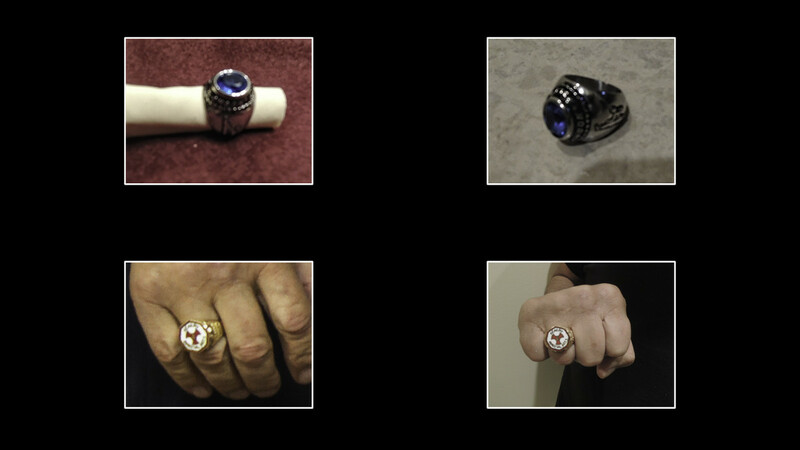 The Pires family with Grandmaster Marchetti and the ring the created for him. The two rings mentioned in this article.